We test Dunlop’s Sportmax D211 GP-A road racing tire in our Supersport Shootout. 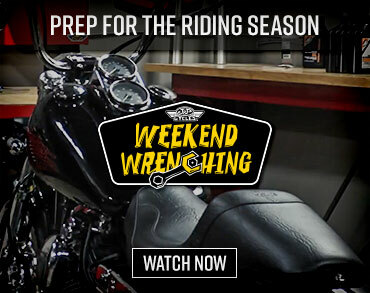 Learn how their AMA-spec race tire performs in the Dunlop D211 GP-A Race Tire Review Video. In our annual 2011 Supersport Shootout IX Track, Dunlop was selected as the Official Tire with its Sportmax D211 GP-A race tire. Sourced directly from the AMA road racing paddock, the D211 GP-A is the spec race rubber in the Daytona SportBike and Motorcycle-Superstore.com SuperSport classes. Based off the D211 GP race tire, as tested in the Dunlop D211 GP Tires Review, the GP-A was engineered specifically for the rigors and demands of AMA Pro Racing. It features Dunlop’s proprietary N-TEC technology in which the tires are constructed from a nylon carcass (the front uses twin-nylon plies, while the rear is constructed with one) overlaid with two nylon breaker belts and a flat, zero-degree aramid-fiber tread belt. The continuously wound belt eliminates tire growth and ensures stability at all speeds. Both tires include the previous generation’s N-TEC hexagonal-shaped steel bead. This design helps give the rider a high-level of feel when riding at extreme lean angles. The design of the latest GP-A has been refined slightly and features an even more rigid carcass than the original. This allowed engineers to modify the shape of the tires to enhance cornering performance. The tires have a taller and more triangular profile which enhances steering response as well as putting down a larger footprint during cornering maneuvers. The GP-A achieves a maximum contact patch at 50-degrees of lean – 10 degrees more than its predecessor. (Above) The D211 GP-A is the spec racing tire for the Daytona SportBike and Motorcycle-Superstore.com Supersport class. (Center) All seven motorcycles were fitted with Dunlop’s AMA-spec Sportmax D211 GP-A race tires. (Below) Dunlop’s N-TEC technology contributes to a stiff carcass design. Considering their unique shape it took significant suspension adjustment to get the chassis balanced and the bikes handling correctly. Once the bikes were set-up on the majority of our Supersport tester units, steering was both quick and responsive. Straight-line stability was also excellent. Overall the tires had a very rigid feel yet they didn’t squirm or flex when loaded heavily on the throttle or brakes. This could be a good or bad thing depending on rider preference. Road feel also wasn’t as high as we’ve experienced with other Dunlop race tires, which made it more difficult for some of our testers to get the necessary feedback to explore the limits of adhesion. Both tires make use of multiple tread zones with a softer compound utilized on the shoulders of the tire. Sandwiched in-between is a more-durable compound designed to withstand the high G-force encountered during full throttle acceleration and heavy braking. The compound formulas were concocted based on the demands of contemporary Daytona SportBike machinery including the Japanese 600cc Inline-Fours and Ducati’s 848 as well as the unique surfaces and configuration of many of the circuits the AMA series visits. Dunlop offers three different front constructions (Soft, Medium, Hard) in one size (120/70-17) and two 190/55-17 rears (Soft, Medium). All seven bikes in our Supersport test were fitted with Hard fronts and Medium rears based on Erion Racing’s (official Dunlop Tire racing tire distributor West of Mississippi) recommendations at our test track—Chuckwalla Valley Raceway. For the most part the tires were always pre-heated with warmers before we hit the track, so they arrived at operating temperature within a few turns. When the tires were fresh, outright grip was excellent as evident by the lap times laid down by our ringer and AMA Pro road racer Steve Rapp. He turned faster outright lap times on the same course we had conducted our Superbike Smackdown comparison test at just a month earlier. The problem is rear tire-edge grip degraded quicker than we expected, which surprised us considering the tires have to last for 20-plus laps in an AMA road race. Conversely, the front tire offered consistent levels of grip that didn’t fade at all over the course of many hours and numerous laps. In fact, after a full day of riding the front tires looked almost brand new. Dunlop’s Sportmax D211 GP-A race tires allowed celebrity guest test rider Steve Rapp (right) to record faster outright lap times as compared to our 2011 Superbike Smackdown Track Shootout. If you’re looking for a more rigid-feeling tire that is stable and steers well, not to mention has the ability to set fast laps, the GP-A’s are the ticket. 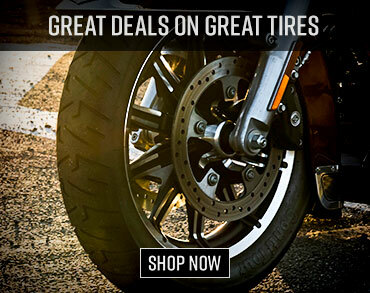 However if you’re looking for more durability and a tire that doesn’t require special suspension set-up we’d recommend you try the Dunlop Sportmax Q2 Front Tire and Dunlop Sportmax Q2 Rear Tire as tested in our 2010 Street Motorcycle Tire Comparison. 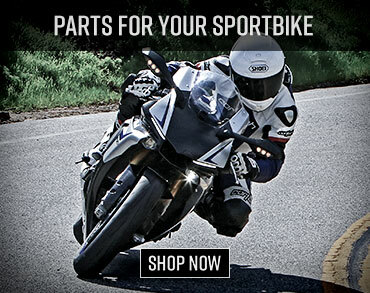 The Dunlop Sportmax GP-A Front Tire and Dunlop Sportmax GP-A Rear Tire are available at Motorcycle Superstore.